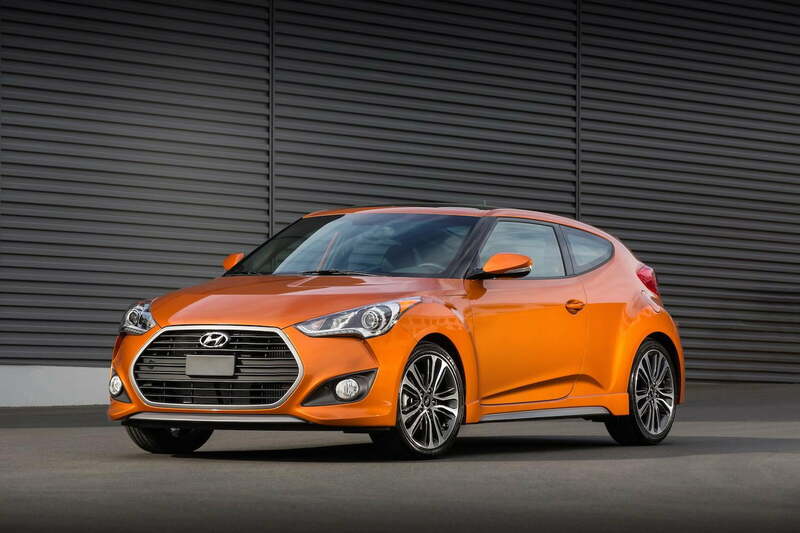 We reported back in January that the Veloster in the Korean market got a few tweaks, expecting some of those updates to make it over to our side of the world shortly after. 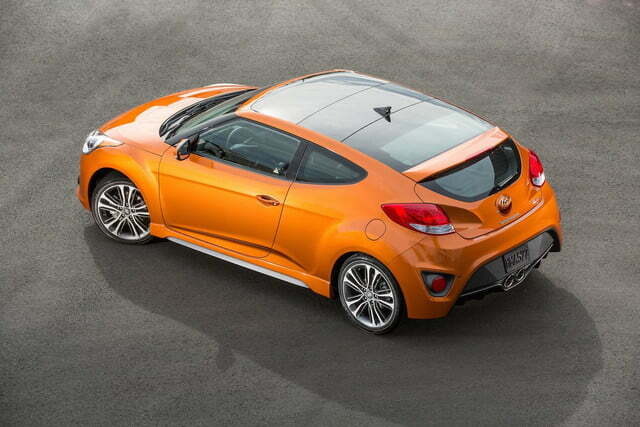 We didn’t have to wait long as Hyundai revealed not just a few upgrades, but a new addition to its lineup, the Veloster Rally Edition. 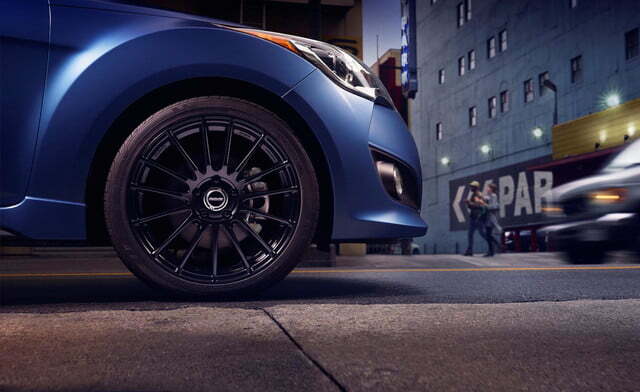 The Rally Edition builds on the performance advantages that the R-Spec brought to the stylish hatchback, featuring springs, dampers and a front stabilizer bar that’s more sport tuned than other editions. 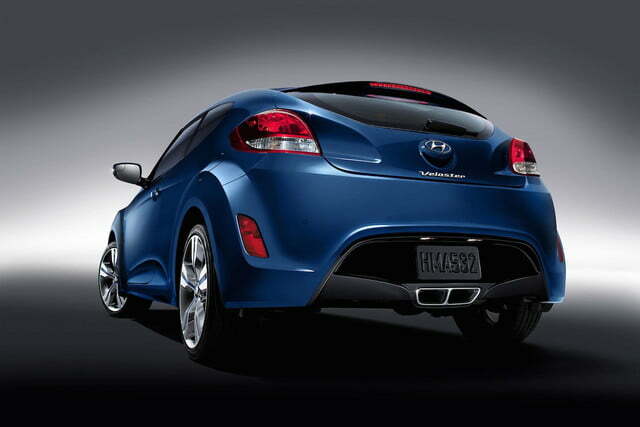 It also now rides on lightweight RAYS alloy wheels that trim about five pounds per wheel off the curb weight. 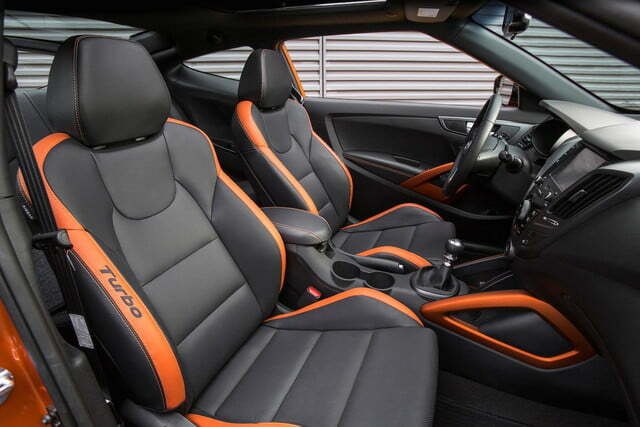 Along with the wheels, the exterior gets a carbon-fiber-looking aero kit and only comes in an exclusive matte blue exterior color, complementing the contrasting black-with-blue-accent interior sport seats. 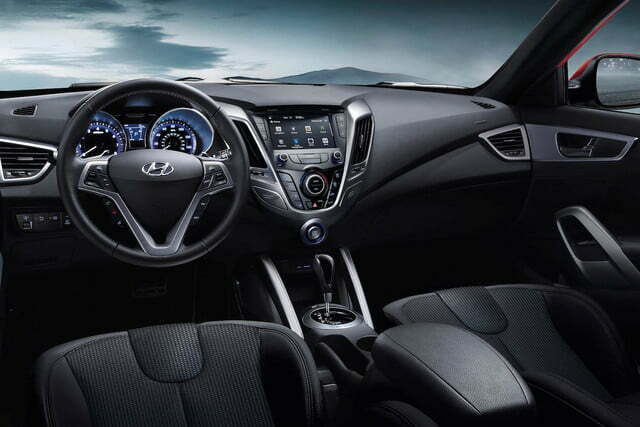 The exclusivity continues with the B&M racing sport shifter mounted to the Hyundai’s six-speed manual gearbox. 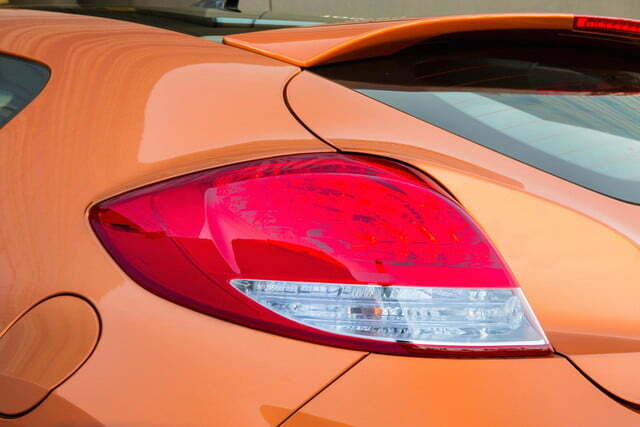 This edition isn’t sticking around long, however. 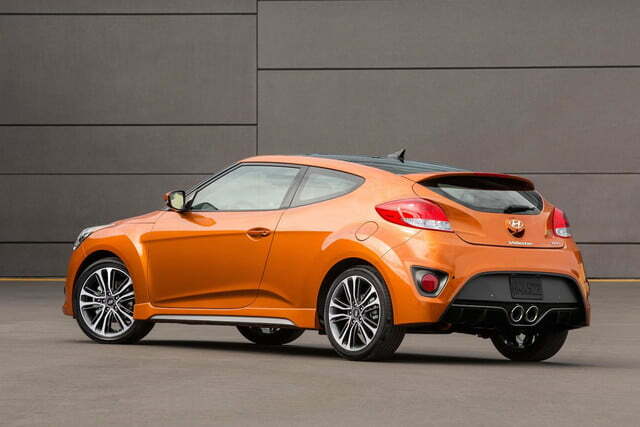 Hyundai is only making 1,200 units of the Veloster Rally Edition, so we’d get on the phone with any local dealerships ASAP, if this package is a must-have. 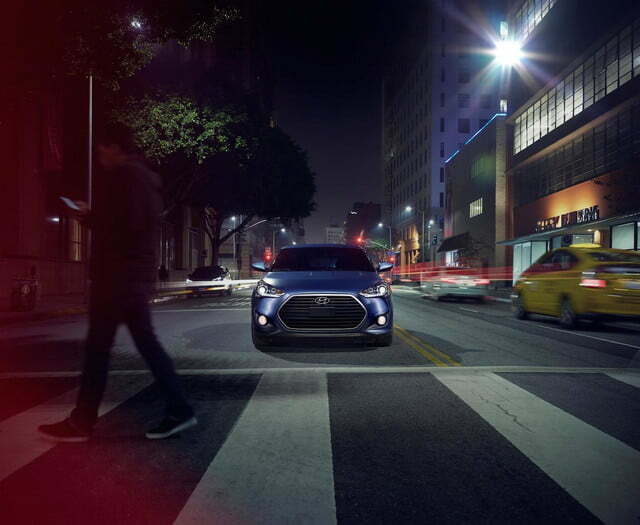 For the rest of the lineup, all Velosters get an upgrade to the hood that deletes the vent accents, 10mm-wider wheels fitted to a new set of 18-inch alloys, and a dark gray bezel that surrounds the front grille. 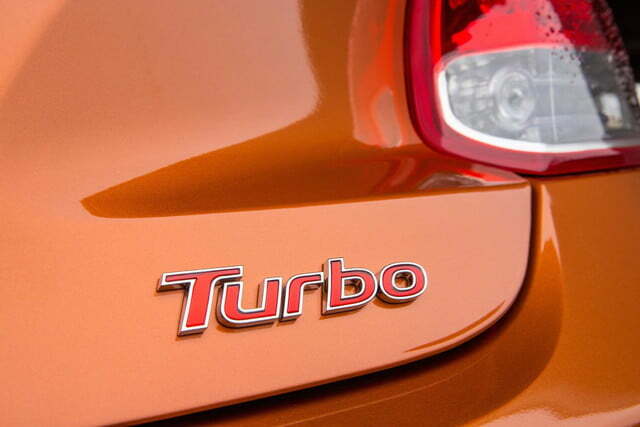 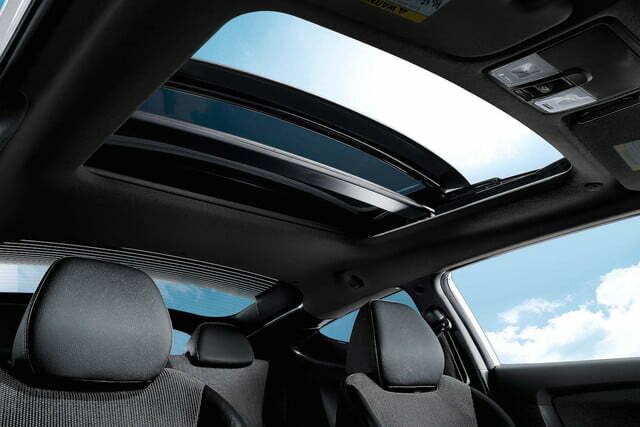 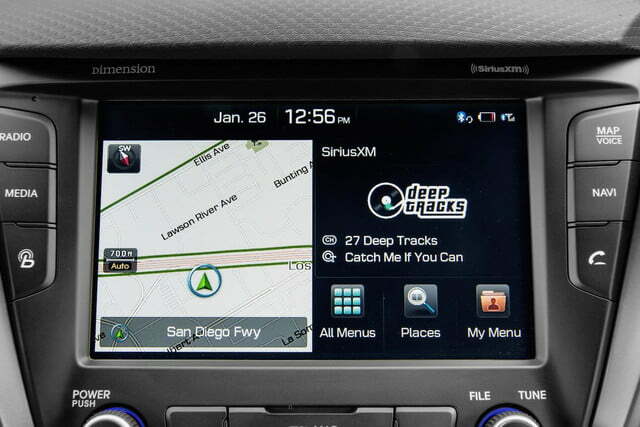 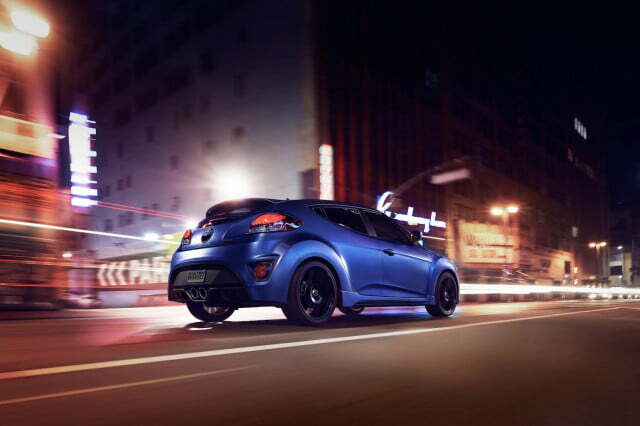 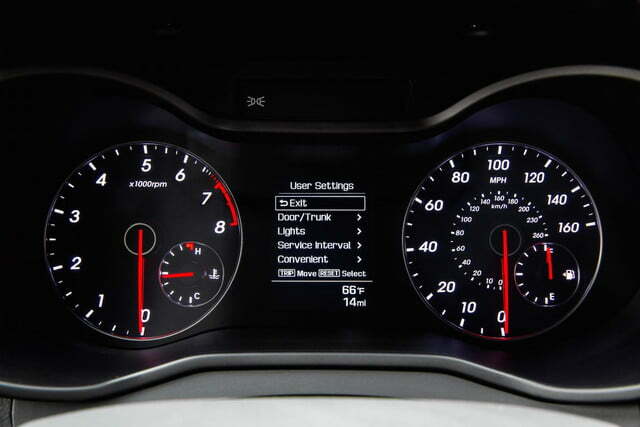 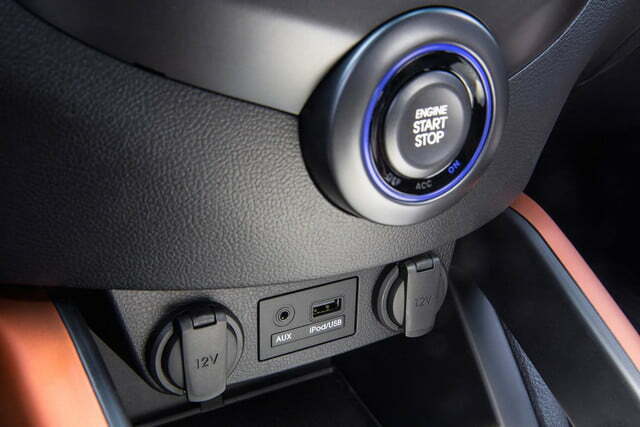 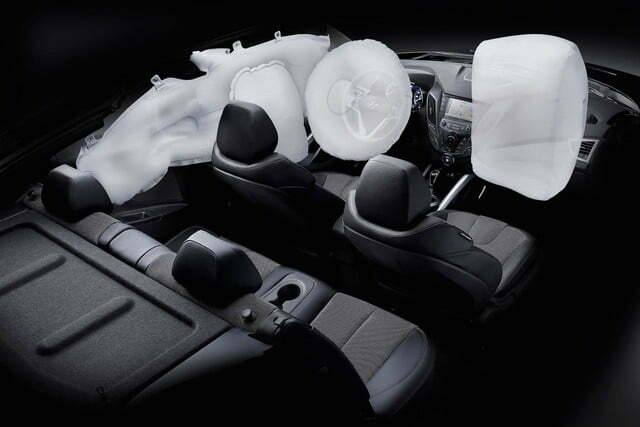 The Veloster Turbo gets additional upgrades, like an exclusive machine-finished wheel design, sportier seats, some electroluminescence added to the gauges and a black headliner. Most significant of all, however is the available addition of a new seven-speed dual clutch transmission that will be married to the Veloster Turbo’s 1.6-liter turbocharged four-cylinder engine. 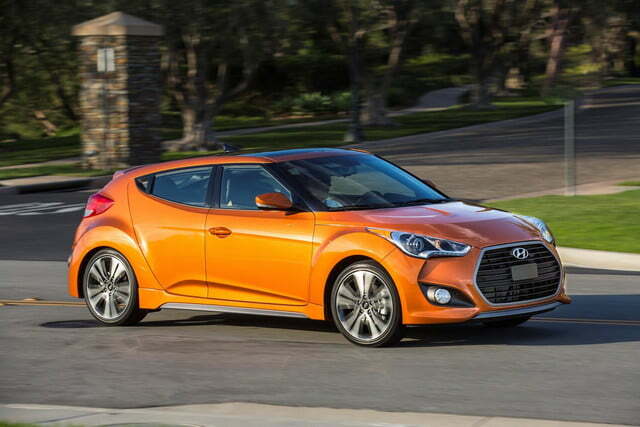 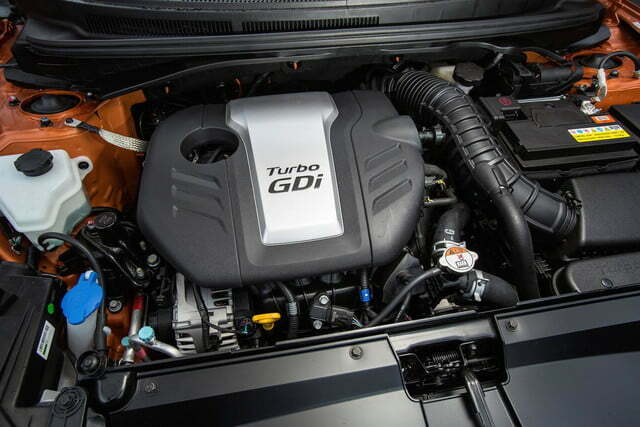 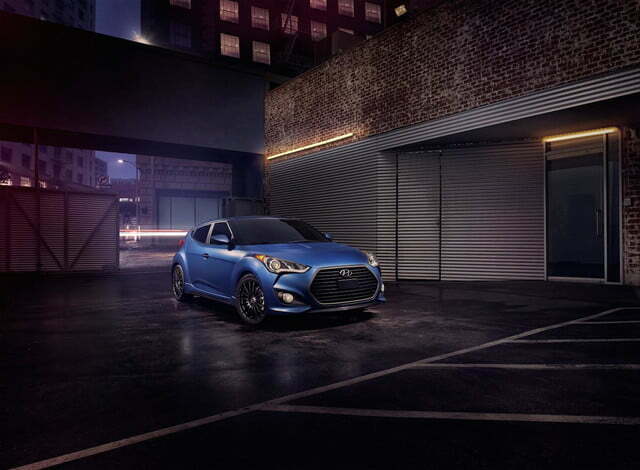 retains the same 201 horsepower and 195 foot-pounds of torque, but the seven-speed DCT has been tuned for more performance whereas the six-speed DCT on the non-turbo Veloster is optimized for fuel efficiency. 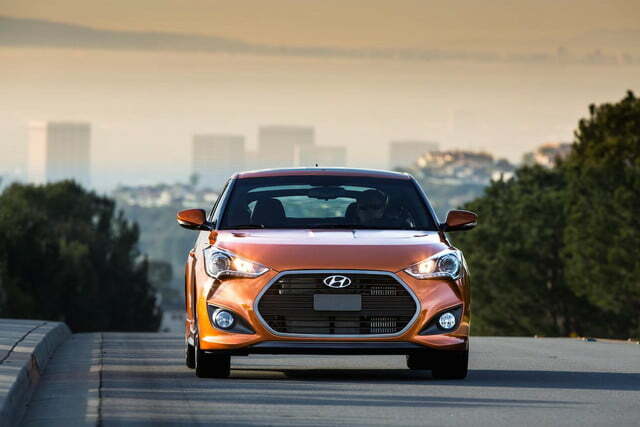 The Veloster Turbo also nets some improved handling in the form of Torque Vectoring Control, worked into the Electronic Stability Control system. 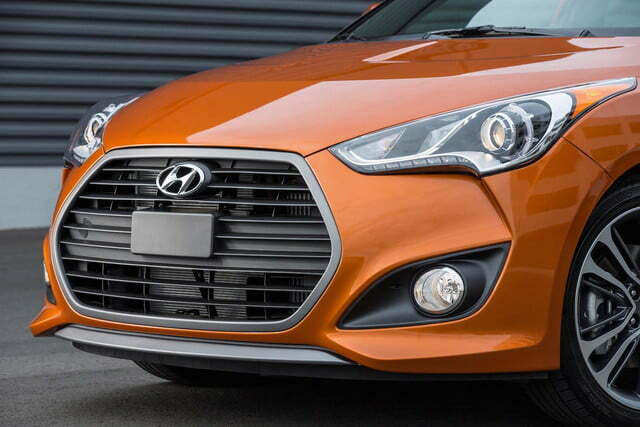 Sensors and new algorithms will apply brake force to the inside front wheel, giving the Veloster an increase in cornering precision. 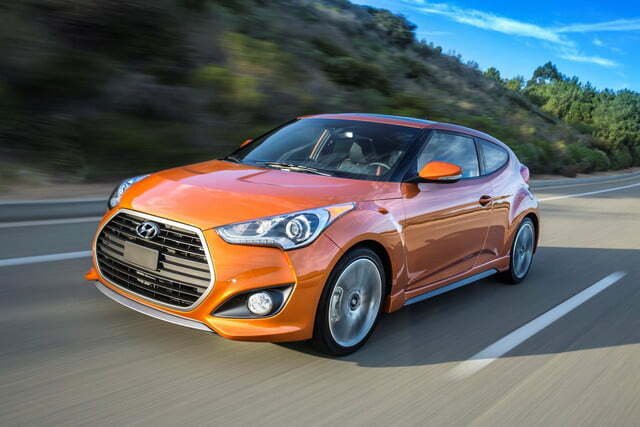 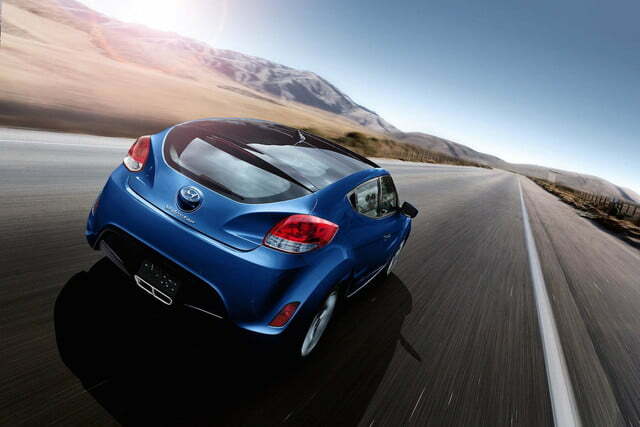 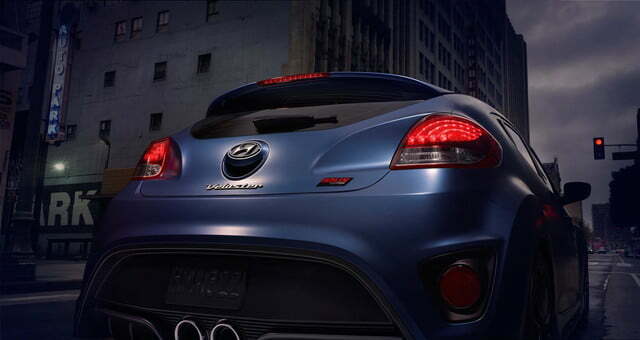 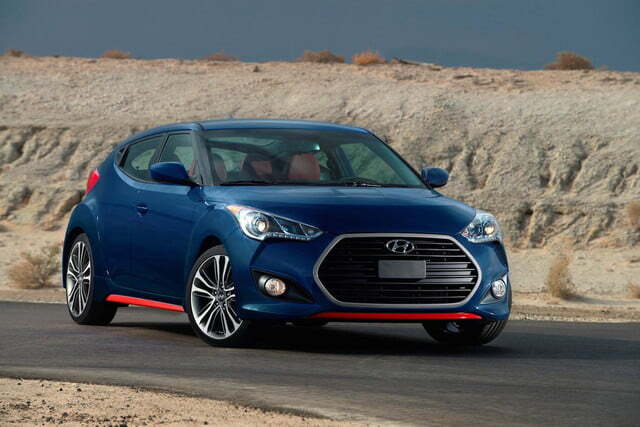 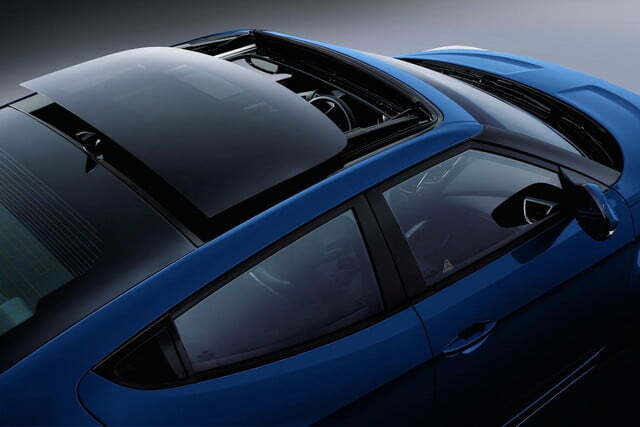 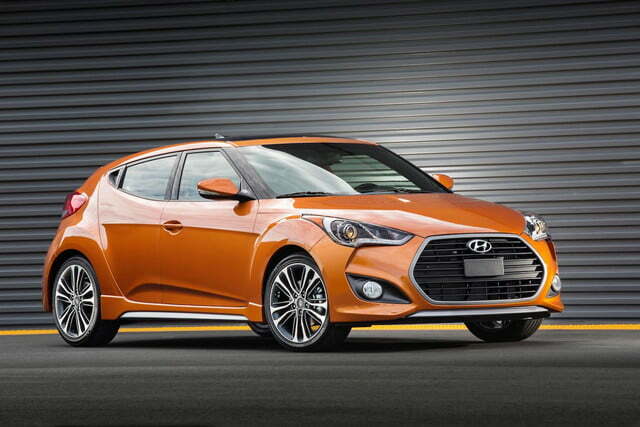 The new Veloster, with its exclusive Rally Edition and upgraded Turbo trim, hits dealer lots this May.